Castle is similar to The Mentalist but more light-hearted. Castle follows Nathan Fillion as Richard Castle, a famous mystery novelist who has killed off his main character in his book series and has writer's block. He is called in to help the NYPD solve a copy-cat murder based on one of his novels. Stana Katic co-stars as Detective Kate Beckett. Castle, who becomes interested in Beckett as a potential character for a new book series, uses his connections at the mayor's office and receives permission to continue accompanying Beckett while investigating cases. Castle decides to use Beckett as the model for the main character of his next book series starring "Nikki Heat". Beckett, an avid reader of Castle's books, initially disapproves of having Castle shadow her on her cases, but later warms up and recognizes Castle as a useful resource in solving crimes. The books Rick Castle is writing in show have also been published: Heat Wave and Naked Heat. 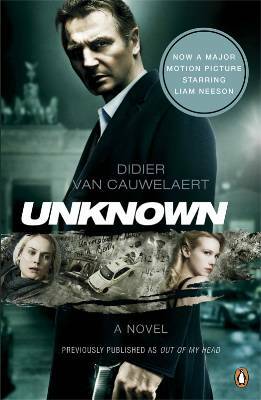 The film Unknown starring Liam Neeson is based on Didier van Cauwelaert's Out of My Head, tr. Mark Polizzotti, first published in English in the US in 2004. The UK edition, titled Unknown, has only just been published, which I believe makes it eligible for consideration for this year's International Dagger. When everything has been taken from you . . .
Martin Harris has been in a coma for three days. When he wakes up, otherwise unharmed, he is shocked to discover that no one knows who he is – he no longer exists. Worse still, another man is living Martin’s life. His identity, his home, even his wife have been stolen. He has lost everything. Except his memory . . .
Will anyone believe that he is the real Martin Harris? If not, is he mad? Or is there a far darker explanation? The UK release date for the film is 4 March. You can watch a (longish) trailer here. 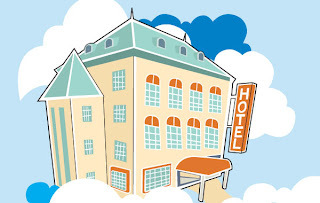 I've been informed about a very short storym written by Alexander McCall Smith, about what happens to people who complain about their hotel rooms. The story was written exclusively for Jumeirah Magazine (a publication by Jumeirah Hotels and Resorts). Click on the title to read The Badly-Behaved Guest. Orion has signed up a series of crime novels from author Harry Bingham. Deputy publishing director Bill Massey made the deal for UK and Commonwealth rights in three crime novels. The series will feature character DC Fiona Griffiths, described as "a young woman with a shadowy father, a mysterious illness, and a peculiar empathy for the dead". Massey said: "Fiona Griffiths is the most original character I've come across in years and I think readers are going to be completely beguiled by her." 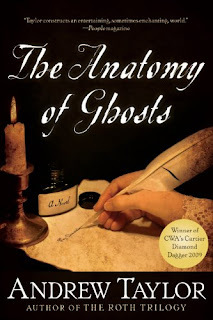 The first title, Talking to the Dead, will be published in spring 2012. 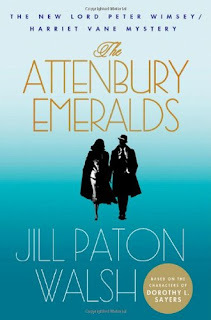 This week's selection for "cover opinions" is the US and UK covers for Jill Paton Walsh's The Attenbury Emeralds. So what are you thoughts on the US (LHS) and UK (RHS) covers? Which would entice you more to pick the book up if you were not familiar with Jill Paton Walsh's books? If you have read it, how well do the covers suit the story? Read the Euro Crime review by Lizzie of The Attenbury Emeralds. 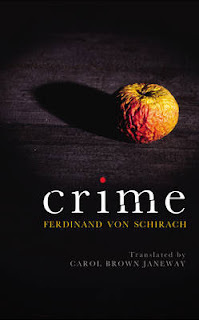 I've just received a review copy of Crime by Ferdinand von Schirach translated by Carol Brown Janeway. It's not one I've come across before and is a collection of short stories (which I believe makes it ineligible for the International Dagger). Meet Fahner, the retired small-town doctor who resorts to the garden axe when his patience with his cruel wife runs out. Or Patrick, so entranced by the sight of his sleeping girlfriend that he cuts a small piece out of her back, just to see what she tastes like. Or the silent assassin who calmly despatches two Neo-Nazi thugs on a railway platform. A nameless lawyer invites us to read an extraordinary dossier of violent and unspeakable acts. All the crimes have one thing in common: the guilty are never convicted in a court of law. 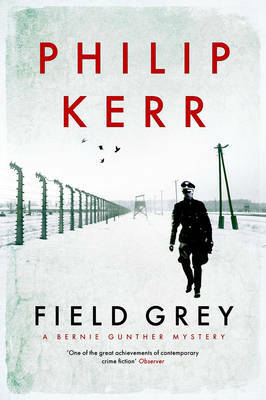 But however heinous the crime, the narrator shows how the human circumstances behind events can tell a different story. Ferdinand von Schirach, himself a criminal lawyer, unveils a terrifying world where criminals elude justice, and the apparent innocents are perhaps the most dangerous of all. 'Guilt,' writes von Schirach, 'always presents a bit of a problem.' In this nuanced and telling collection, guilt is indeed never as clear cut as the crime. I'll be adding this author to the Euro Crime page of German crime writers shortly. I do receive books that fall outside the remit of Euro Crime from time to time so I thought I'd try and lay out what is and isn't likely to be reviewed. I would prefer to direct review copies from publishers straight to the review team. However where books come to me first I send out an email, roughly weekly, listing books received and then send on the books requested to the reviewers. 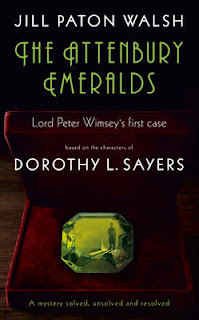 This is a bit costly* and time-consuming and delays the books getting to the hands of the reviewer, however perhaps with the rise in popularity of e-readers, the availability of e-galleys will increase. *I am a library assistant so am not terribly confident of having a job in a year's time, in which case this policy will have to be reviewed. We try and review as many books as possible, six new reviews are uploaded most weekends. Please note that the reviewers are crime fiction enthusiasts offering their honest opinions and that a review cannot be guaranteed. and Terry Halligan reviews Footsteps on the Shore by Pauline Rowson an "excellent police procedural" set in Portsmouth. Contrary to reports in the papers when Monster in the Box was published, Wexford is not finished - he's set to return in The Vault published in August. 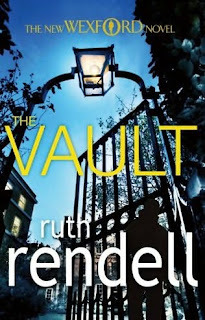 Apparently The Vault is a sequel to a non-Wexford novel (I don't know which) and is the first time Rendell has written a sequel. No plot details are available yet. Hat-tip and thank-you to Philip who has had to keep this a secret for a few months. 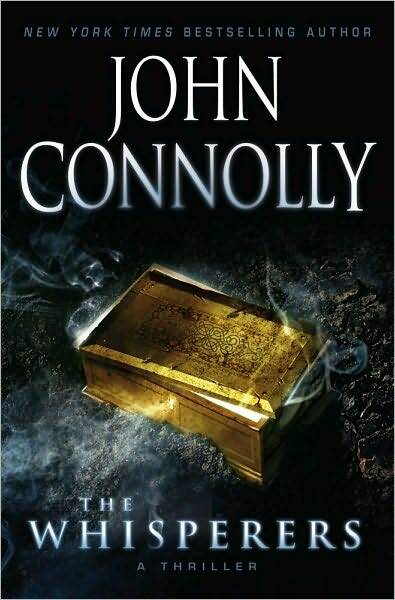 This week's selection for "cover opinions" is the US and UK covers for John Connolly's The Whisperers. So what are you thoughts on the US (LHS) and UK (RHS) covers? 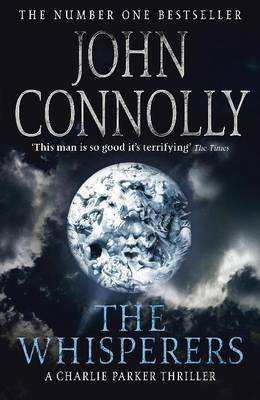 They are very similar this week, but which would entice you more to pick the book up if you were not familiar with John Connolly's books? Read the Euro Crime review by Pat of The Whisperers. This is a rare opportunity to meet Jo Nesbo. The bestselling author of 'The Snowman' will be signing copies of the heart-stopping thriller 'The Leopard' and his earlier Harry Hole novels. Please arrive early to avoid disappointment. Customers not purchasing their copy of a Jo Nesbo book on the day of the event, may be asked for proof of purchase. and Laura Root reviews Death and the Maiden by Frank Tallis, the newest and sixth in his historical, Vienna based Dr Liebermann series. *=European interest or translated author. 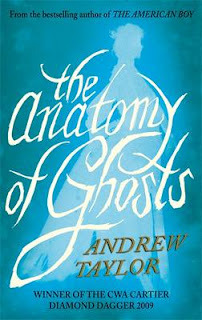 This week's selection for "cover opinions" is the US and UK covers for Andrew Taylor's The Anatomy of Ghosts. So what are you thoughts on the US (LHS) and UK (RHS) covers? Which would entice you to pick the book up if you were not familiar with Andrew Taylor? 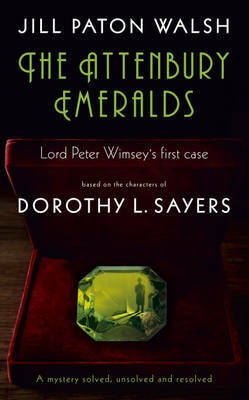 The US edition was published on 25 January and a UK paperback edition will be out 17 February (with a similar cover to the hardback). Read the Euro Crime review by Amanda of The Anatomy of Ghosts. You can read an extract from The Anatomy of Ghosts here. Fans of Ann Cleeves' Vera Stanhope books are waiting impatiently for the transmission of Vera , the television series, starring Brenda Blethyn as DI Vera Stanhope. The original plan was for the adaptation of Ann's novel Hidden Depths , to be broadcast in the autumn of 2010, but ITV were so pleased with this pilot episode that they commissioned three additional instalments, even before the first episode was broadcast. Trailers have already been screened, and we should soon have a chance to see four Vera Stanhope mysteries, based on Ann's three existing Vera Stanhope novels plus one entirely new story, all filmed on locations in the north east of England. Please welcome Susan White to the review team. Susan reviews for the print magazine, newbooks. Her first review for Euro Crime is The Holmes Affair. and Geoff Jones reviews Or the Bull Kills You by Jason Webster set in Valencia. 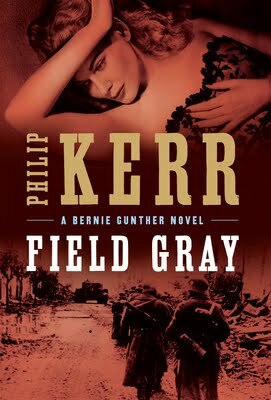 This week's selection for "cover opinions" is the US and UK covers for Philip Kerr's Field Grey (US: Field Gray). So what are you thoughts on the US (LHS) and UK (RHS) covers? Which would entice you to pick the book up if you were not familiar with Philip Kerr? The US edition is to be published 14 April and a UK paperback edition will be out 31 March (with a similar cover to the hardback). Read the Euro Crime review by Laura of Field Grey. Sphere have acquired a 'ripped-from-the-headlines' debut thriller. Set in a fictitious seaside town called Whitmouth, a series of murders brings together two women who as children had been imprisoned for their part in the murder of a little girl and who now live under assumed identities. THE WICKED GIRLS will be published in trade paperback in Summer 2012, followed by a B-format in Spring 2013. 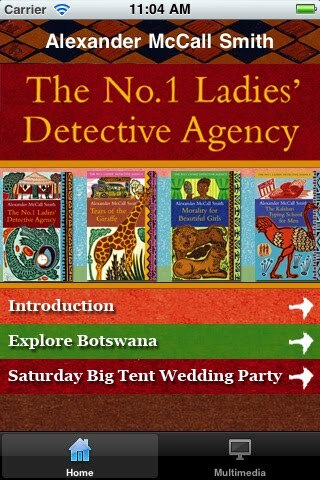 This is Alexander McCall Smith's official iPhone app. It features exclusive video of the author discussing key characters in the series and locations throughout the country of Botswana. You can also read sample chapters from the books in the No. 1 Ladies' Detective Agency series, including an exclusive preview chapter from The Saturday Big Tent Wedding Party. And find out about 20 of Alexander's favourite songs. Look out for further updates this year.